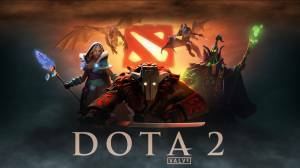 DOTA2 is one of the biggest multiplayer online battle arena (MOBA) games today. It is played by more than 7 million gamers around the world, with over 70 renowned professional teams, and over 20 highly acclaimed professional tournaments annually. In fact, the DOTA2 community has given away over $70 million in prizes since its launch in July 2013. DOTA2 is a strategy game that combines individual player skill, in-game knowledge, and synergy to advance through the game and win. Players command heroes with various skills, roles, strengths, and weaknesses. Heroes earn gold by getting the last hit of enemy units and structure, neutral units, and enemy heroes. The main objective of the game is to advance through enemy territory, destroying defensive towers along the way, and destroy the ancient structure inside the enemy base. No discussions open for Dota 2 at the moment.